I’m a practicing psychologist who specializes in the development of babies and young children, a nationally known parenting writer, and the proud mama of two boys and two girls. My husband and I changed diapers and wrangled potty training — nonstop — for 13 straight years. In my family, we have a Turtle, a Bear Cub, an Owl and a Puppy. We experienced several daycare and preschool situations over the years, and I’ve consulted at many others. More and more these days, I hear from parents who are stressed because their child is supposed to start preschool, but potty training is a requirement — and their child isn’t quite there yet. This type of rule is one of my biggest pet peeves, as a child psychologist. "You can’t require a child to be potty trained — it’s just not possible, developmentally. You might as well ask the child to drive himself to preschool!" 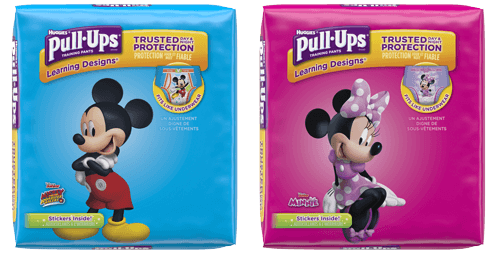 Potty training is a skill that requires developmental readiness, plus a lot of practice. These cannot be manufactured to meet an arbitrary deadline. Preschools with a rigid “potty training required” rule tend to be either (1) too popular for their own good — with long wait-lists to get in — and requiring potty training is just another way to “cherry pick” the easier children to attend their school or (2) uninformed about the realities of early childhood development. Some preschools will even suspend a student for having too many “accidents.” This rule, unfortunately, disproportionately affects our little Turtles, Bears and Squirrels, who often take longer on their potty training journey. Don’t buy in to the potty training pressure. Preschools grounded in a solid understanding of child development will have support, suggestions and options for the 3- and even 4-year-old who is still working on potty skills. Often, preschools can’t help the fact that there are strict rules from their local Health Department regarding diaper changing at the facility. But there ARE options out there, so keep looking until you find the best one for your child’s personality. Also, try to get a sense of the school’s actual definition of “potty trained,” which can vary quite a lot. The working definition your preschool uses may make all the difference in your decision on whether to send your child there. In my years of clinical experience, I’ve found that children who have a good, positive toilet training experience are more likely to have greater self-confidence, feelings of self-control and overall sense of achievement.